Ontario’s new housing policy doesn’t address the major underlying issue in the market, according to president of the Canadian Home Builders’ Association (CHBA). The Canadian Homebuilders Association has long been on record saying Toronto is suffering from a dearth of housing supply, and that is the major cause of affordability issues. So does it think the new housing plan sufficiently addresses the lack of the supply? 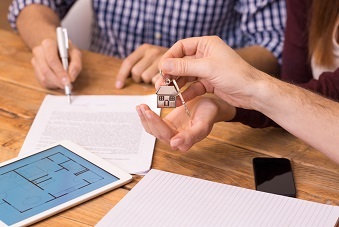 Last week, the Ontario government unveiled its new housing plan, entitled the “Fair Housing Plan,” which includes 16 measures aimed at making housing more affordable for its citizens. Within the package were six actions to increase housing supply. They include; establishing a plan to leverage unused provincial land, introducing legislation that will include a vacant home tax, implementing tax policy for multi-family residential buildings similar to residential property tax, introducing a $125 million program to encourage construction of new rental apartments, providing municipalities the ability to use property tax tools to unlock development opportunities, and creating a new Housing Supply Team that will identify barriers to development projects. These measures, however, fall short according to Finnigan. However, some industry players have commended the government for its plan – particularly the housing supply policies.